How to find the best discount make up from your favorite brands. Some of the best makeup products are inexpensive and can look great on any occasion. Good makeup can transform a woman’s face and make a night out on the town even more fun. Sometimes the most frustrating part of makeup is how expensive the good stuff can be, even for a tiny amount. There is a great feeling that comes with knowing that you look beautiful, and that can make it even more difficult to resist buying expensive makeup items that are out of your price range. Fortunately though, there are a lot of options to choose from in regards to makeup if this is the case. And no, one of the options isn’t to stop wearing it altogether! There are three basic concepts to acquiring makeup on a budget, and you can mix and match them or just go with one you really like. The first option is to find deals on expensive makeup brands like MAC, Stila, Smashbox, and Lorac. This is a more expensive option than the other two, but you will wind up with better quality makeup that looks great. High end makeup also lasts longer because you don’t need to use as much to get results. The second option is to buy inexpensive discount make up in the first place. While these brands won’t be as high quality as some, there are quite a few out there that are good enough for daily wear and a few nights out a month. This can include certain drugstore brands as well as inexpensive online makeup shop items. The last option for the broke and fabulous is to make your own makeup. This can be really tricky for foundations and mascara, but creating shades of lip gloss and blush can be fun and simple. It can also be really cheap to start in bulk, so you may want to invite a few girlfriends over to help take home some of your creations. If you love high end beautiful makeup like MAC, having some of the best while on a budget can be done. There are deals to be had if you are willing to look and it may even cost about 40% to 70% of total retail price. This is one of the cheapest makeup routes you can go, with most items costing only $1 and a select few priced at $3. Check out this review on Eyes Lips Face for a complete guide on the best items, the worst items, and the ones worth trying out. Mineral makeup started in the 1970s and became a product revolution shortly thereafter. Even today women of all ethnicities seek out mineral wear because of its natural shades and easy application. 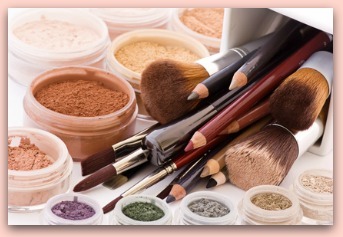 Find the best inexpensive mineral products here in this review. Think it might be fun to bring over some girlfriends and have a makeup brewfest in your kitchen? Here you will find the ingredients you need and the step-by-step process to creating, coloring, and filling your own lip gloss tubes for cheap discount make up. Once you’ve played around a bit and have successfully made a tube or two, try out these recipes in different flavors to play up your style and create delicious glosses. Take your pick from peppermint, coconut, lavender and jojoba, sweet almond, or chocolate flavored lip candy.